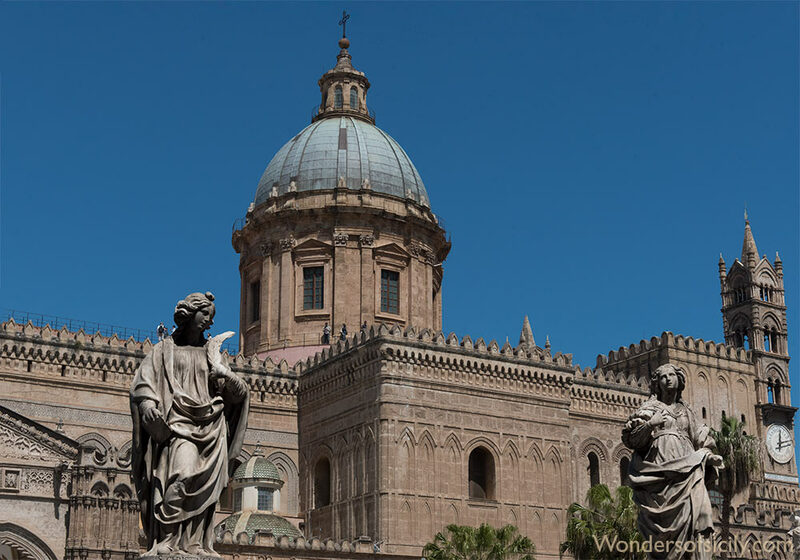 Palermo Cathedral is characterized by different architectural styles, due to a long history of additions, alterations and restorations. 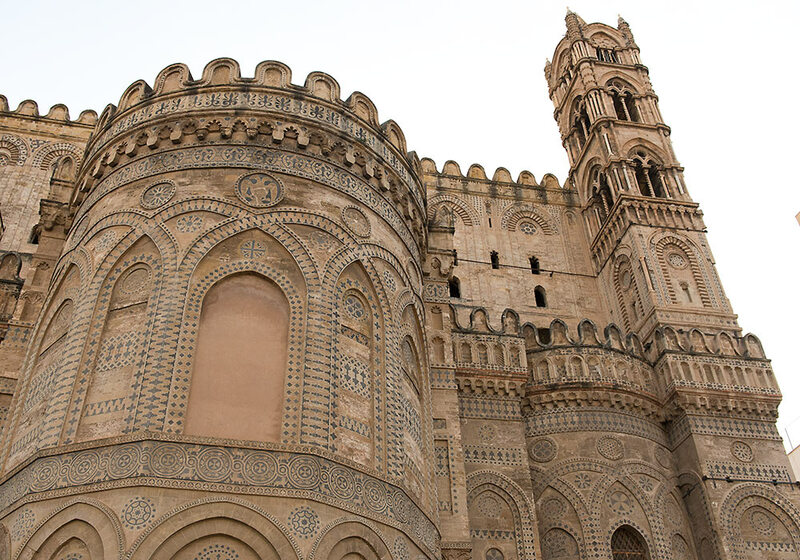 It was erected in 1185 by Walter Ophamil (aka Gualtiero Offamiglio and Walter of the Mill), the Anglo-Norman archbishop of Palermo and King William II's minister. 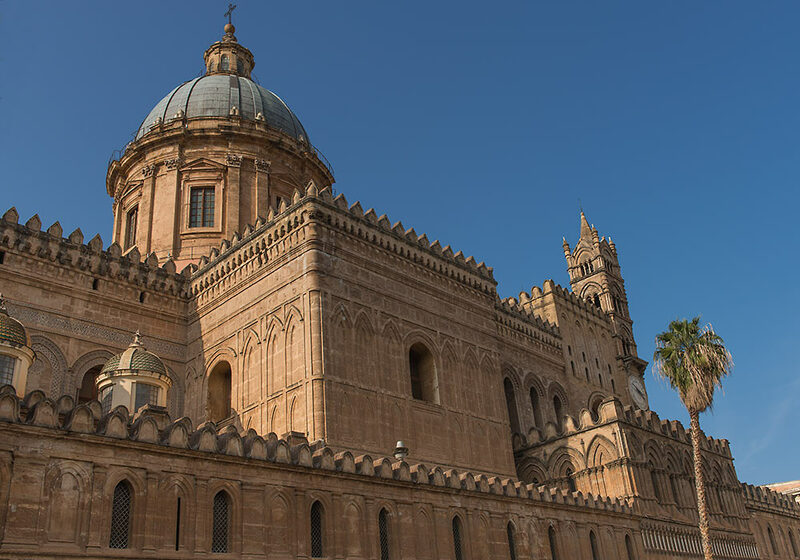 The cathedral in the center of Palermo – not to be confused with the Monreale Cathedral – was built on the site of an older basilica (used as a mosque in the 9th century). 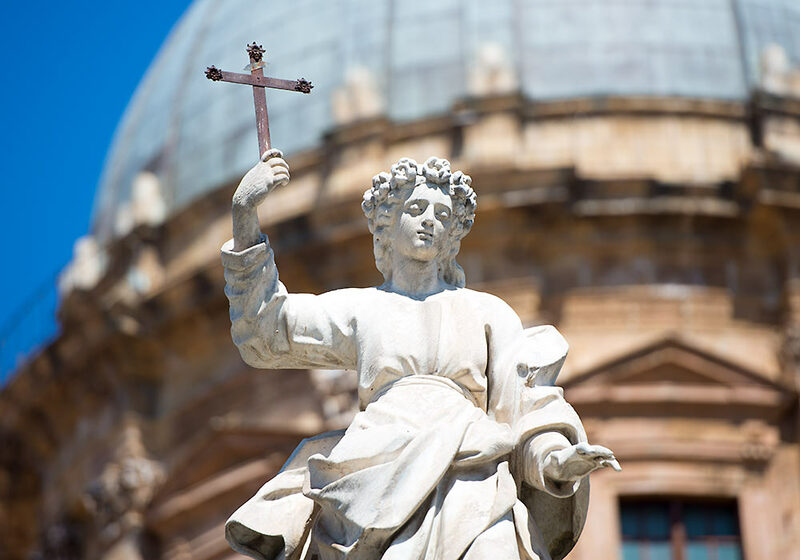 Statue of Santa Rosalia outside the Duomo in Palermo. Santa Rosalia is the patron saint of Palermo. 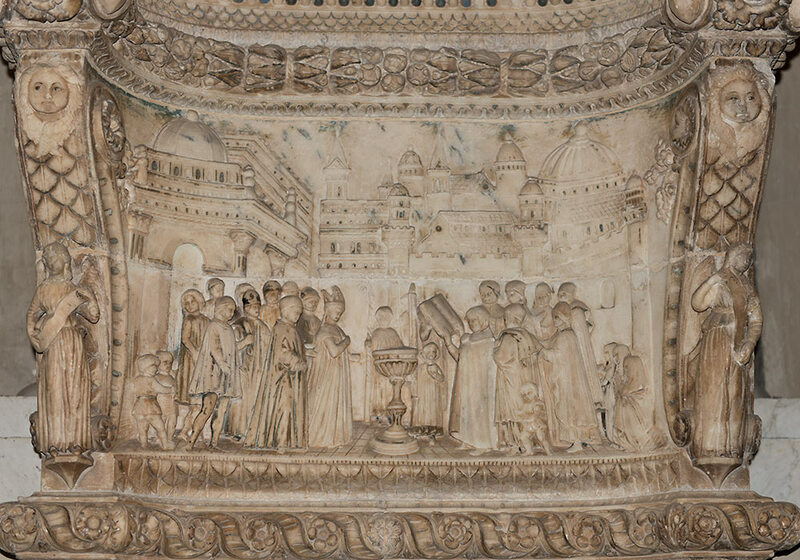 Detail of a (restored) canopied stoup (attributed to Domenico Gagini). 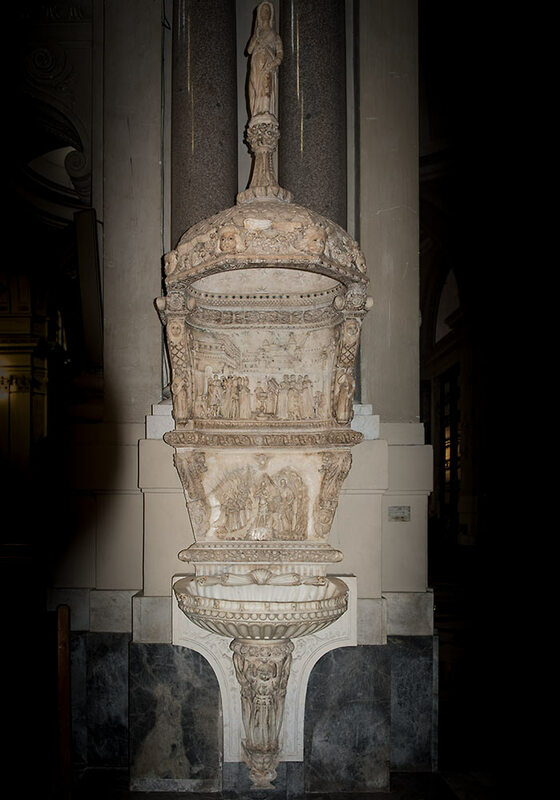 A (restored) canopied stoup (attributed to Domenico Gagini). 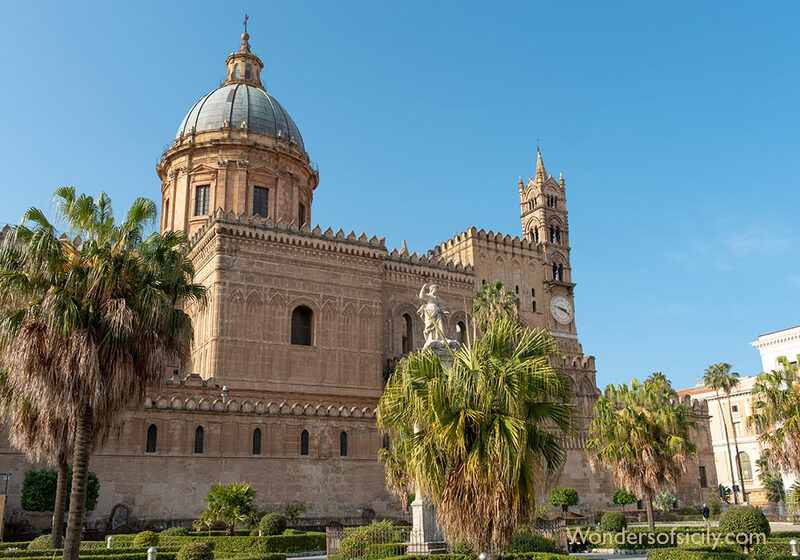 The Cathedral in Palermo was founded in 1185 by Walter of the Mill (Gualtiero Offamiglio), an Englishman who came to Palermo as tutor to the young William II and later became archbishop of Palermo. 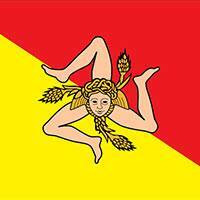 Walter of the Mill accumulated such a powerful following that the king responded by creating a new city at Monreale. 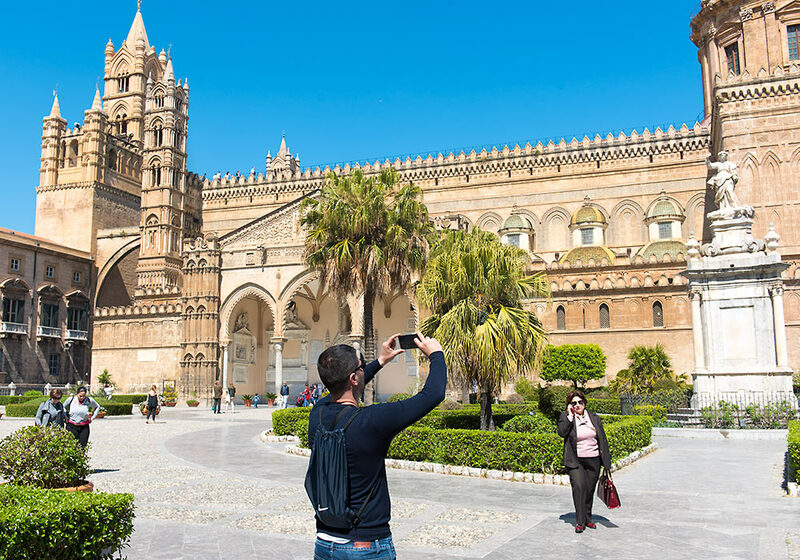 Tourist taking pictures of the cathedral in Palermo (not to be mixed with the Monreale cathedral). 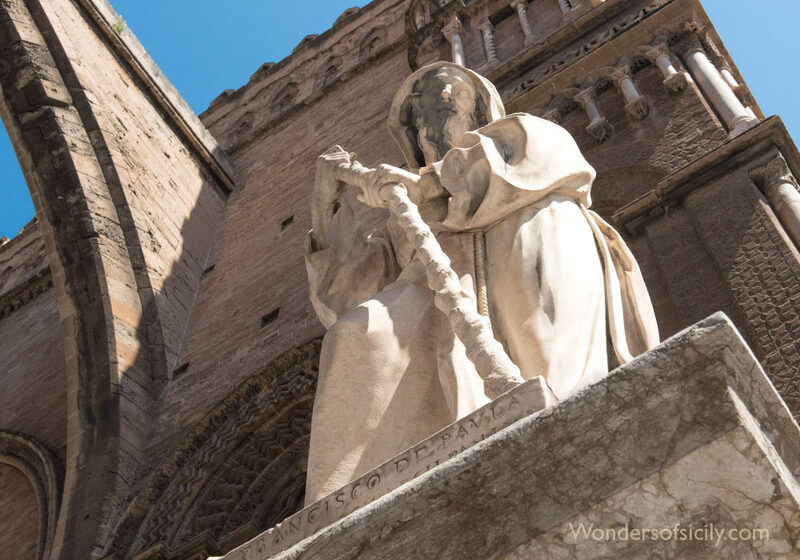 Statue of Saint Francis of Paola (1416–1507) behind the cathedral in Palermo.